Economics of Innovation, Diffusion, Growth and the Environment”. There was an interesting presentation by Roger Fouquet similar to his The Importance of History. The presentation had a graph showing the net welfare of personal transport (consumer surplus less net external costs?). I think the graph can be interpreted as “cars have made a large increase in net welfare”. At the time, I suggested that many would prefer to live in Venice, where there are few cars, rather than Los Angeles, where there are lots. If this is true, how does the high net welfare in Dr Fouquet’s work fit in for the residents of Venice? One explanation may be that his external costs (e.g. pollution and congestion) are too low. Another is that external costs do not apply uniformly to a complete population – some people suffer more from noise and bad air quality than others. A further explanation is that the infrastructure in Venice is different and more supportive of a lifestyle with fewer cars. I also mentioned at the conference contrasted the development of a village with lots of cars with another with hardly any cars. (It is in my blog piece, A parable of four villages.) In the village with few cars, local services such as shops, schools, pubs and public transport survive. They decline and disappear in the other. The other two villages in four villages were examples of the decline of services in villages over the past sixty years or so. In the case of local buses, as each family gets a car, they reduce their use of the bus so the spatial density of bus passengers declines and costs go up. For the remaining bus passengers, their fares rise and their consumer surplus reduces. This is repeated for many local facilities. My question is: If one section of the population (e.g. motorists) cause a fall in the consumer surplus of another section (e.g. bus users), how should economists regard this? Can this be classed as an external cost? In the past, I have argued for separate settlements for non-motorists (1, 2). Some people choose to live in car limited places, like Venice, and others prefer to live in motorway cities like Los Angeles. See also The parable of the smoking carriages. The seriousness of climate change has added another dimension to this issue. The latest report from the IPCC (AR5) includes an assessment of a “carbon budget” – a finite amount of carbon that can be burnt before it becomes unlikely we can avoid more than 2?C of global warming. Subtracting anthropogenic emissions from the emissions in the base year (1750) gives the “remaining carbon budget”. Last year Carbon Brief updated this to account for recent emissions. Dividing the remaining carbon budget by the number of people in the world gives 115 tonnes CO2 per person. Note: Some scientists believe the correct limit for global temperature rise should be 1.5?C or lower. For this the remaining carbon budget is 33 tonnes per person. In the UK, our personal carbon footprints, measured on a consumption basis average 15 tonnes CO2e per person per year. I discussed the worldwide carbon footprint in Is Green Growth a Fantasy? Worldwide, the numbers don’t seem quite as bad because the yearly emissions of green house gasses are just over 5 tonnes CO2e per person, much lower than in the UK. This breaks the 33 tonne, 1.5?C budget in six years (See Carbon Brief’s Six years worth of current emissions would blow the carbon budget for 1.5 degrees). To eke out the 115 tonne, 2?C budget until 2050 requires personal carbon emissions to fall at a rate of 4% a year. For green growth to be possible for the whole world, the carbon intensity of production must fall by over 4% a year and large scale carbon extraction from the atmosphere must be possible after 2050. “Green growth for the World” may be a fantasy too. He has just written Predictions Implicit in “Ice Melt” Paper and Global Implications which says “Climate science has strong policy implications. However, we scientists have not done an adequate job of informing policymakers”. From my personal experience I have formed the view that “scientific reticence” is not just “a consequence of scientific method” but also from other pressures applied to scientists. I suspect this reticence also applies to economists. I asked Lord Stern a question at the panel session. I asked if we must cut production to reduce carbon emissions because de-carbonisation cannot be achieved quickly enough. As I remember, his answer was that if it’s a race between growth and the environment, growth will always win. This indicates a political constraint on policy options that may mean it is not possible to reduce greenhouse gas emissions and stay within any sensible “remaining carbon budget”. The difficult political framework means that proposals from economists that take climate change really seriously may not be acceptable politics but I still hope that some economists can look at some radical proposals in preparation for the time when the politics might change. The models used in IPCC AR5 (the CMIP5 models) were under powered due to missing feedbacks. 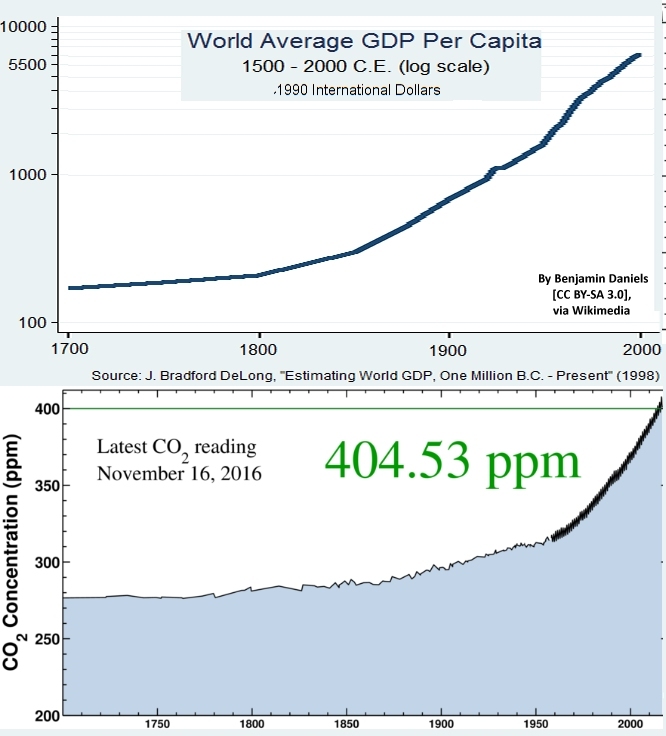 When incorporating climate science with modafinil economics, economists have taken the results of the IPCC, as the correct climate science. I discuss this and two Integrated Assessment Models in Joined up economic and climate research needed. If IAMs are “close to useless as tools for policy analysis” how should economists help understand the economics associated with climate change? Some, like Nordhaus examine the effects of taxation policies. His latest seems to be a Climate Club. The seriousness of climate change and lack of a believable consensus is underlined by Hansen’s latest note and it’s criticism of the CMIP5 climate models as used in AR5. We need to look at a wider range of options which can be applied if the worst cases begin to materialise. e.g. Options like very large carbon prices, say, $2000 tonne CO2e – and upwards. If climate change does require a large reduction in carbon emissions, then different lifestyles will need to evolve to fit within these limits. Activities which cause the largest greenhouse gas emissions must be curbed e.g. such as motoring, flying, eating beef and energy use at home. The reduction may need to be rapid. In this case the embodied emissions associated with manufacturing and construction take greater importance. Currently emissions from manufacturing a car is about 5 tonnes of CO2 (7 tonnes for an electric car) and supplying the infrastructure for an extra person in a city is of the order of 100 tonnes CO2. By mid-century it may be possible to extract CO2 from the atmosphere at a rate to balance emissions. That is the hope of the IPCC. The remaining carbon budgets must last till then. These budgets are 33 tonnes per person for 1.5?C rise in global temperatures and 115 tonnes for 2?C. Making cars and building urban infrastructure could overwhelm these budgets. If changes of lifestyles are required, these may be brought about by market mechanisms, such as a very high carbon price. But such market-orientated economic mechanisms were to be used, there would be changes in infrastructure to adjust to new lifestyles. There would then be a time lag before infrastructure adjustments could be made. One view might be that this should be the responsibility of spatial planners but as a group they have a poor track record – particularly of planning neighbourhoods where people live. There is a role for economists and economic analysis to plan ahead for this urgent problem. As I argued in Making planning work differently, a rich gene pool of prototype settlement types is required so that the fittest can be found. Taking a market view, this would mean providing wider choices of settlements which are within environmental constrains that future policies might require. Some such prototypes may not be economically viable now. “Viability now” is not the immediate purpose: Foremost it is to build up expertise in ultra low carbon lifestyles. However, the earlier discussion of consumer surplus and disaggregation of populations highlight some issues that are relevant even now – even without a tougher economic regime on greenhouse gas emissions. If the consumer surplus and net welfare can be increased for sections of the population by allowing them to live in separate environmentally friendly developments why don’t planners promote such options? Why haven’t they even considered them from a theoretical standpoint? My view is that planners have not shown the analytical skills found in the best economic thought. I have never found a planner that enthused about possible applications of the concept of consumer surplus. The design of prototype settlements should be expanded by economic concepts: special rules and financial mechanisms as I outlined in the Newsletter of the Rents, Service Payments And Covenants Association (February 1976). Economists are needed to advise and educate the planners and explore new ways of organising human settlements. If the world is to avoid dangerous climate change we will need to live differently. It would be good to know what type of settlements can support lifestyles that do not contribute to a climate catastrophe.